3D Realms, as you are no doubt aware, is actually legally known as Apogee Software, Ltd., distinct from Apogee Software, LLC, which was spun off from 3D Realms in 2008 and holds the license to the Apogee name, logo, and library. Got it? 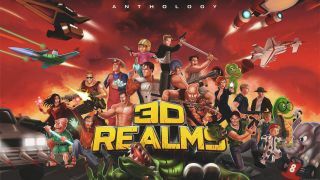 Me neither, but that's not important: The point is that 3D Realms is back, with a 32-game anthology bundle that includes some real retro goodness. 3D Realms had a good run through the 90s, but the following decade was rough. Its greatest success, Duke Nukem, became its downfall: Unable to finish the infamous Duke Nukem Forever, it closed its doors in 2009. Earlier this year, however, the company showed signs of new life thanks to its acquisition by Interceptor Entertainment, most recently known for remaking Rise of the Triad and being sued by Gearbox. There's some stuff in there that probably isn't going to turn too many cranks, but there are a lot of winners, too. Max Payne and Prey are unfortunate (and unexplained) absences, although they may simply be a little too new (or perhaps a little too owned by Rockstar) to belong in a bundle like this. Whatever the case, the games run via a custom-built launcher designed for Windows, so compatibility presumably won't be an issue, and the whole thing goes for $20. Interested? Get the details at 3DRealms.com.